As the Toronto Maple Leafs enter the second half of the 2018-19 National Hockey League regular season, the primary concern surrounding the team is whether their defense corps is good enough to compete for the Stanley Cup. For you history buffs, this is the third season in a row we’ve been having this same conversation heading towards the stretch run. Certainly, the team can score; the Maple Leafs rank fifth in total goals (158) heading into action Monday night, and have played fewer games than each of the teams ahead of them (they’re third in goals per game, at 3.59). Goaltending isn’t much of a question either, provided starter Frederik Andersen is healthy, although Garret Sparks and Michael Hutchinson have been largely serviceable in the backup role. The lone question mark is the blue line. Rumours constantly swirl regarding who the Maple Leafs might be interested in, but no trade, signing or waiver claim has yet been made to address the back end. And, to be perfectly honest, one might never be made. The Maple Leafs’ defense (likely) isn’t getting any better. Why Would the Maple Leafs Not Improve Their Defense? First, let’s get one thing straight — the Maple Leafs could undoubtedly use one or more improvements on defense. I’m not arguing the contrary. On balance, however, it might not be in Toronto’s best interest to pursue the acquisition of such a player – or players, unless a proposition is a guaranteed home run. For instance, Toronto is rather good on offense; as mentioned, they rank third in goals per game in the entire NHL. And this is all without William Nylander’s return yielding much statistical production at all (though his underlying numbers are immaculate). With Nylander on the ice at 5v5 the Leafs generate the same rate of scoring chances as with Mitch Marner on the ice, but the team is shooting just 3.7% (!). That’s mostly just bad luck. It’ll even out. Thus, a preliminary assessment of the Leafs’ situation is that they could deal from their position of strength and trade an offensive forward for a defenseman. However, a high-powered offense is what makes the Maple Leafs the Maple Leafs. Taking away from that would erode what makes this team special. The departure of even one offensive forward would make said forward’s line less effective, which would allow opponents to focus their defensive efforts on other lines, likely leading to a lesser Maple Leafs offense overall. And this is all assuming an advantageous trade even exists in the first place. The Maple Leafs are at a distinct disadvantage in this regard. Simply put, it takes two sides to make a deal. One or more teams would have to be willing to part with a quality defenseman – a rare commodity and an even rarer situation. The Maple Leafs’ need to address the right side of their blue line in particular further narrows down the field of applicable – and available – players. These prospective trading partners would also need to agree to what the Maple Leafs are prepared to offer in return. Then, the salary cap hits, and contract terms and conditions of the players involved would have to fit with both sides’ short- and long-term cap management plans. Given the Maple Leafs’ perceived defensive shortcomings are the furthest thing from a secret, I’d imagine there are very few teams eager to make a Toronto-friendly deal. If the Leafs can’t acquire appropriate defensive help at a fair price, they’re better off standing pat. Also, even if a fair deal for defensive help is to be had, it’d likely necessitate subtraction from other parts of the Toronto system. Make no mistake, though every NHL general manager trumpets each year that their goal is to win the Stanley Cup, they always have to balance this desire to go all-out for a championship with the long-term needs of the organisation – not to mention their (presumed) desire to keep their job. 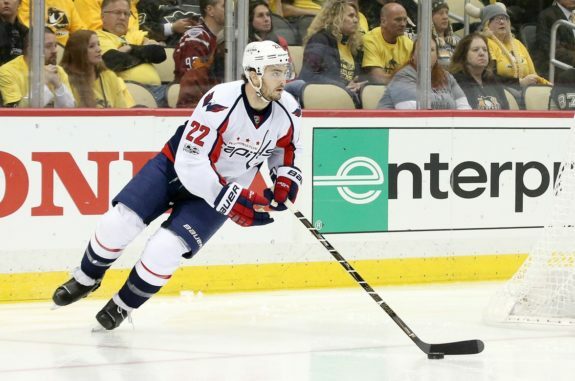 In a 31-team league playing a sport as random and unpredictable as hockey, even the very best of strategies have only a slim chance of working out as planned. So, is it really wise for a general manager to risk a long period of sustained team success for a year or two of, at most, a marginally better chance at winning it all? Unless such a trade is a guaranteed win, probably not. With the salary cap preventing teams from spending their way out of problems, GMs have to be extraordinarily careful about living too much in the present, lest they handicap themselves for the future. And it’s not as though the Maple Leafs having nothing coming through their prospect pipeline, either. Timothy Liljegren and Rasmus Sandin are projected to join the big club in the next year or two, and the organisation as a whole has proven capable at longer-term development and even reclamation projects – see: Andreas Johnsson (I know, not a defenseman) and Justin Holl, respectively. The team’s already a contender, and internal help – sure to be more affordable than trade-acquired assistance – is on the way. For the Maple Leafs, given their core is projected to be together for the next half-decade or more, there’s a lot to be said for the patient approach. As exciting as the leadup to the NHL trade deadline is every year, the results usually do nothing but disappoint. 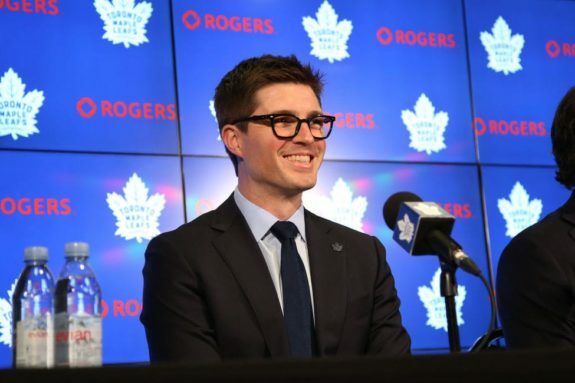 Unless some sort of can’t-miss situation comes his way, I don’t think Leafs GM Kyle Dubas will be upping entertainment factor this season. It won’t be for lack of trying, no doubt. It’s just the NHL is a (largely) conservative league with (mostly) cautious organisations and a (very) hard salary cap. Making moves for the sake of making moves rarely works out. The 2018-19 Maple Leafs might just be best exactly as they are.